See that little girl in the picture? Staring. Determined. Headstrong. Well, that’s me. A funnel hacker in the making. I was almost five years old in that picture, and I was rocking those Salvation Army second-hand knee-high boots because they made me feel like a total badass! Five years old! And yes...I was a badass! It was 1969, and we were a new immigrant family of six that lived in an old raggedy ranch style home in Levittown, Pennsylvania. 105 Magnolia Drive to be exact. We had scenic forest wallpaper, wood paneling, a sectional couch and a big fenced backyard where our dog Misty lived. Levittown was the place that Billy Joel sang about in his song Allentown. Levittown was a picture-perfect, carefully controlled community that represented entrepreneurship, ingenuity, and uniformity. 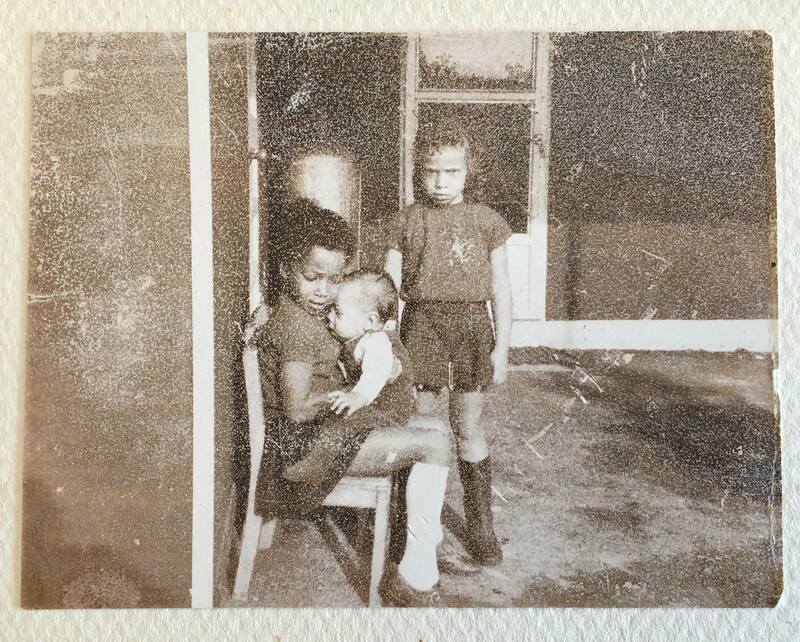 I grew up in a post-World War II American suburb where you were expected to conform and fit in. At age 5 I knew I’d never fit in. I didn’t conform. I was different. First off we were poor, on welfare, and I was this half black half Jewish kid that just didn’t fit in with my surroundings. By the time 1970 hit our family of 6 became a family of 5. My mom was always home, and my dad was always gone. Although we went without, my fondest memory was going to the Jersey Shore for the day, all of us kids and mom, with a bucket of Kentucky Fried Chicken and our bathing suits! Sometimes we went to Trenton New Jersey to the museum. We all piled into my mom’s Fiat 500 and off we went. Or sometimes we would take the train to Philadelphia and walk around window shopping in Roosevelt Mall talking about what we’d do if we won a lot of money. Once we visited the Philadelphia Zoo. To this day I don’t know where my mom got the money for her car or the gas or how she took us on those adventures. Four kids, a single mom and on welfare? I know I get my strength and drive from her. My childhood memories were also filled with memories of processed government cheese, powdered milk, Ovaltine, Biscuit, our dog Misty, second-hand clothes, fireflies and waiting for the mosquito man on hot summer nights. I also remember going back to school after the Christmas holidays watching classmates run around in new clothes and new shoes and bragging about their bicycles. While we had nothing new. Same clothes. Same Shoes. All hand me downs.I remember how we never had potato chips or Captain Crunch cereal like the other kids. I remember wanting more. The young girl in me was trying to figure out how to get money and how to get out of Levittown. I wanted more. I wanted more for me I just had to find it. And that’s when an entrepreneur was born. That little girl in the picture above grew into a motivated, creative, driven, risk-taking visionary. It all began with the words; I have an idea! I was up on all the newest and coolest technology of the 1970s man! I had my second-hand typewriter, my transistor radio and my old black and white television with the rabbit ears wrapped in aluminum foil. I even got my hands on a push button phone, which walked away ahead of the dial phone! For the 70s I was all high tech! I had my hands in the mix with my knackers and Jax and view camera. I started to make money on the side by renting my toys out to friends that wanted to use them. At our house on Magnolia Drive, we had a big yellow bowl in the house where we collected all of our change. It also had four silver dollar bills! My goal back then was to fill that bowl with nothing but silver dollars! By the time I was 12 years old, I was renting out my clothes to my sister. I figured if she was going to wear my clothes and not give them back she rent them! I charged her $1/item. After a while, I lost a customer, but it sparked bigger ideas for me. I also babysat after school for a next-door neighbor, and at 13 I was selling donuts around the neighborhood and charged a $.05 upsell for a baker’s dozen. At 14 I got my first “real” job at Taco Bell and then went on to McDonald’s. At 15 I hit my stride as a cashier at Macy’s and Rite Aid while renting out my bike so kids could take it 5 miles down the road to the Pong and Pac-Man game room. At 16 years old I was an Avon rep selling makeup and up selling lotions door to door! Being able to make money when I wanted and when I needed it was a huge awakening for someone from the wrong side of the tracks. I paid for my own Jordache jeans, my class ski trip to Killington Vermont and I was able to buy my real mom gifts for the holidays rather than make a homemade gift like we always did. Ultimately my side hustle allowed me to save enough money at 17 and I headed out of dodge with a one-way ticket to Europe and the Middle East. Four years of being a ‘traveling-gypsy-couch-surfing-making-money-as-I-go’ waitress. I landed in Israel where I studied at Tel Aviv University and ultimately I ended up in a brief military program for new immigrants. In the mid-80s, I took a one-way ticket to California because I was determined to make my mark and hit the California coast. I was dumbfounded. How can you tell someone that they aren’t good enough? That they can’t do achieve their goals and hit their dreams? I think about that now, and I think about that girl in the picture. The determination. The inner resolve. Tell that girl now, and somehow she will get to yes. Needless to say, I got into UC Berkeley and then went off to law school all the while with my side hustle working over time as I worked as a library attendant, shopkeeper, bagel maker and au-pair. 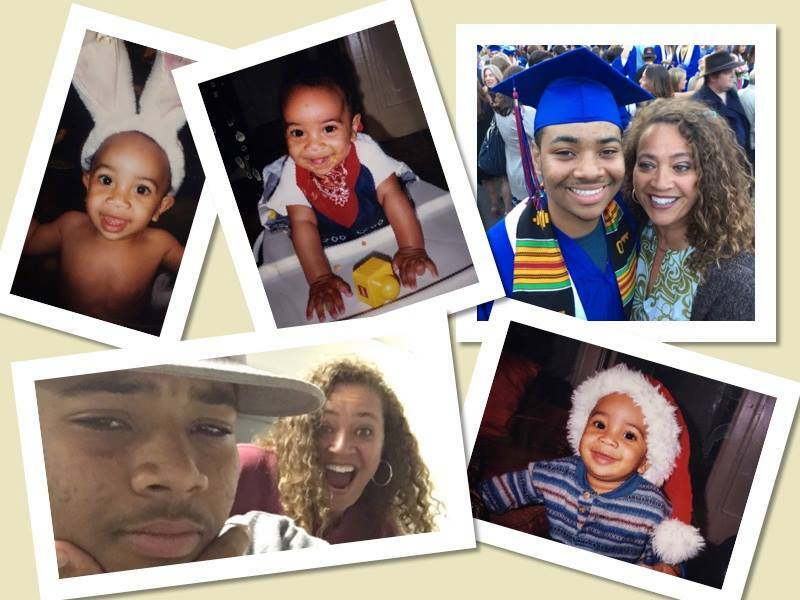 I left law school and went into high-tech recruiting, contract negotiations and real estate. I had made good money, well into the six figures. I had what I thought I wanted but then everything shifted. In 1998 I became a mom. And now, finally, I have my real and authentic why. I had made money in the past, and I had lost money. It always felt like it was never enough. My chase for the American dream was simply dollars and cents. Now it had to mean. My son became the ONLY reason why. The flesh of my flesh, living and breathing for him I want more. In 2008 I lost everything. The real estate and financial markets tanked, my business stopped, and my relationship ended overnight. I lost my properties, and I lost all of my savings. I didn’t know how I was going to feed my child or keep the lights on or keep a roof over our heads. I had no income whatsoever. None. Nada. Nunca. Nothing. I was scared shitless, but I think that in our bleakest moments we find the greatest strength. The only thing I had going for me because it never left me was my drive. Just to give you some insight into my world I had someone say to me the other day “OHMYGAWD Lydia! You are a unicorn! You’re old, and you know technology? That’s unheard of!” I like the idea of being a unicorn but NOT the old comment. What The Hell!! Right now I am in my prime (for you millennials I’m over 50! 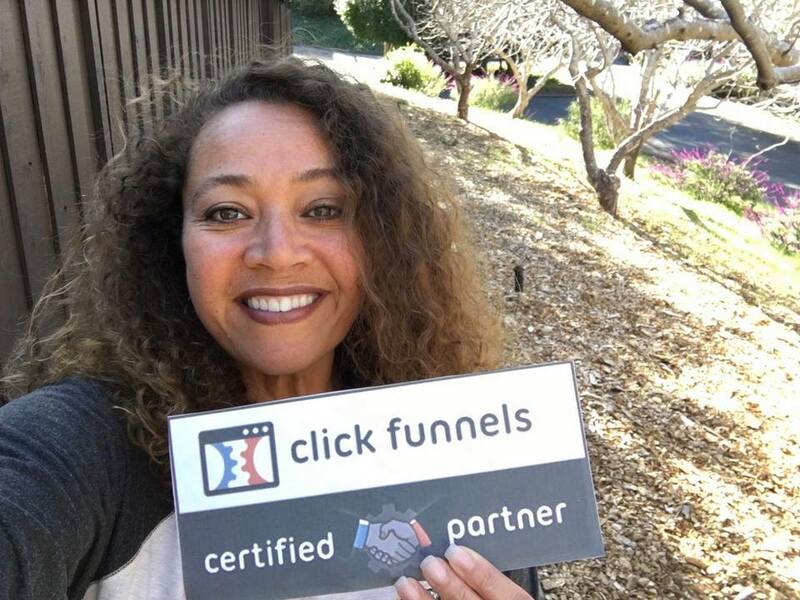 ), and I am starting a new chapter in my life as a ClickFunnels Certified Partner. I’ve been an entrepreneur my whole life. The last 15+ buying and selling real estate, working with investors and coaching women to believe in themselves and build wealth. This year has been filled with lots of things that could have stopped me from reaching my goals. For starters I am a “solo” mom with no family around, one of my dogs died, my son almost didn’t graduate high school, so I had to drop everything and make sure he made it across the finish line. I was given 30 days notice to move while in the midst of packing my son off to college, my mom fell and broke her hip, and my home became the rehab facility which meant that I had to drop everything and take care of my mom. (I was nurse Nightingale, and Nurse Ratchet all rolled into one!). I got sick and was bedridden, my car broke down, and the list goes on. I haven’t shared my story, so you feel sorry for me. I am sharing with you because life gets in the way…all the time! Are you going to give up or are you going to dig in? Are you going to continue making excuses or are you going to excuse yourself so you can hunker down and hone in on what it is that you really want? Ask for help when you need it. Let go of the vampires and look for the cheerleaders! Your success depends on you. IF you want success its here for you and you, have a community here that supports you. If I personally can help you in any way, please feel free to reach out to me even if it’s just for the encouragement! The biggest takeaways for me were over my lifetime are: belief in yourself unconditionally, don’t compare yourself to others and their timelines, stop being a perfectionist, get done what needs to be done without excuses, be kind to yourself, it’s okay to take a break, and…I am NOT old!